The stock markets opened on a lower note on Tuesday. The S&P BSE Sensex opened at 33,935.88 as compared to its previous close of 34,134.38 and the Nifty50 index of the National Stock Exchange (NSE) started at 10,152.60 against its last close of 10,245.25. 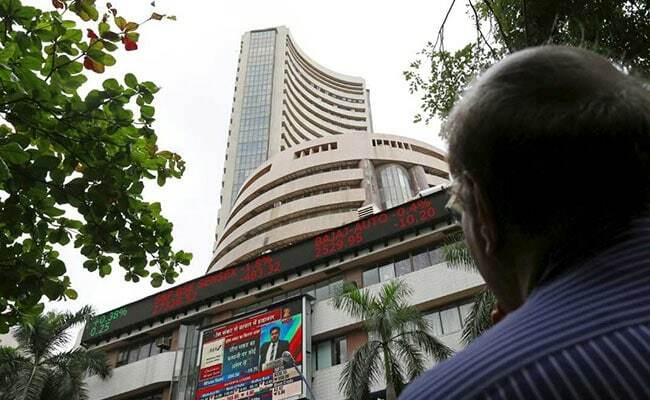 In the first few minutes of trade, the 30-share Sensex traded at 33,944.53, down 189.85 points or 0.56 per cent while the Nifty50 at 10,153.85, with a loss of 91.40 points or 0.89 per cent. Losing between 1.71 and 4.60 per cent, Asian Paints, Indiabulls Housing Finance, Eicher Motors, Yes Bank and Hindustan Petroleum, were the top five drags in the Nifty index. Asian Paints reported 14.4 per cent fall in second-quarter net profit at Rs. 493 crore on Monday. Thirty six out of 50 Nifty stocks traded with losses. All sectoral indices on the NSE traded in the red, led by FMCG, banks and IT stocks. Chief Strategy Officer, KIFS Trade Capital. "Weakness in the market is constant...stock-specific volatility can be observed due to earning season. The risks of trade war and rising of dollar and crude prices across global markets show no signs of cooling off. Bears are having a better grip on the markets," he said. In the global markets, MSCI's broadest index of Asia-Pacific shares outside Japan dropped 0.4 per cent. Japan's Nikkei fell 1.25 per cent.